As consuming as our cares about craft, promotion, and publishing in general are, every so often it is good to step back and put our problems in perspective. There are far too many people who are unable to join us in bemoaning the changes buffeting the culture of letters because they’re distracted by trifling annoyances like not starving, succumbing to disease, or becoming a casualty. Humans have always dreamed and told stories. That we have the time and the means to catch those dreams and render them in an enduring form, which has the potential to touch the lives of far more people than could ever fit around a campfire, is something our forbearers would find miraculous. For much of our history only the rich and powerful were able to leave a durable legacy because palaces, temples, and monuments of stone were about your only options if you wanted future generations to know you were here. In time, books provided a more effective way to preserve your thoughts and feelings for those who would follow, but they were still the province of an elite sliver of society. Now billions of us can write for the ages. Of course, nothing is ever certain. A host of calamities, from asteroids to zombies, could reduce us to fossilized traces. But in the grand scheme of things, we’re incredibly fortunate to have words to worry about, rejections to receive, and the perpetually perplexing publishing industry to enjoy. If you’re toying with the notion of becoming an artisan publisher because you want to get rich quick, stop immediately. There are many other ways to make money that take far less effort and produce a more timely return. Some people have indeed made their fortune writing books just like others have become wealthy by winning the lottery, but neither approach offers a predictable, repeatable path to instant riches. In a world where entire factories are optimized to produce as much of one thing as quickly as possible, the artisan’s handcrafted approach can never compete purely on price. Of course, artisans can make a living but they will never enjoy the profits that can be generated by the economies of scale in a large operation. You might argue that the old economy-of-scale distinction between artisans and major enterprises doesn’t apply to electronic books because production costs have dropped to almost nothing: an artisan publisher can “publish” just as easily as a major publisher and, as a smaller operator with lower fixed costs, they can afford to undercut the big houses on price. But the changes that have opened new prospects for artisan publishers have also given large organizations new ways to gain advantage. Specifically, established publishers continue to enjoy economies of scale in marketing and discoverability. Because they have been producing a great many books for a large audience they have the attention of an army of reviewers and booksellers. You won’t command the attention of as large an audience until you are as well established as they are. Don’t make the simplistic mistake, as you’re dazzled by the prospect of a 70% royalty, of thinking all you have to do is sell 50,000 copies of a $2.99 book to earn a six-figure income. Even with a dedicated sales force and standing orders from bookstores, major publishers rarely sell 50,000 copies of a title. On average, books published nationally—which includes bestsellers—sell between three and five thousand copies. No. It’s simply that the money will not come quickly. Unlike ancient artisans, who were paid once for their work and depended on the next commission for their continued livelihood, an artisan publisher gets paid every time someone buys another copy of the books in his or her catalog. In web terms, artisan publishing is all about the long tail—the slow growth in the value of the collection of published work over time. What this really means is that artisan publishing operates under a more traditional model than current publishers. Before most large publishing houses became divisions in even larger corporate entities they earned their ongoing income from their backlist—books published prior to the current year that were in print and on sale. Your goal as an artisan publisher is similar: because you can never compete with the major players on the number of titles you release or marketing to create a false sense of urgency your best bet is to supply a steady stream of high quality content which will, in turn, generate a steady stream of revenue. There’s money to be made as an artisan publisher, but it won’t come all at once. We often talk of all the gatekeepers we have to get past in order to get published. We even say things like, “vetted by publishers”—as if publishers where somehow the guardians of all that is good and true. Unfortunately our sloppy language leads to sloppy thinking about the role of publishers. Specifically, we confuse gatekeeping with advocacy. Gatekeeping means choosing who will pass and who will be excluded. It also implies an endorsement: if the bouncer at the club lets you past the velvet rope you know you're one of the cool people. Advocacy is an important element in maintaining the social fabric. Obvious self-interest makes us wary of both the promoter and the product. But if a nominally disinterested party champions someone’s cause, we take it as evidence the case has merit. That’s why we need lawyers and agents. Publishers provide advocacy through investment. Talk is cheap. Backing up that talk by investing a substantial sum in a book says something. Of course there’s no direct correlation between the amount invested and the quality of the book. But assuming publishers are rational economic actors, if the publisher is willing to bet so much on a project, perhaps it’s worth our attention too. Publishers are not pure advocates because they have a financial interest in the sale of the book. To compensate, the industry has developed layers of structural advocates. From the wholesaler, distributor, and retailer model of the distribution chain to the web of reviewers, booksellers, librarians, and teachers who promote books and reading in general, the publishing industry, which is just as commercial as any other, manages to come out looking like a cultural institution. The new world of frictionless, costless e-publishing doesn’t change the need for advocacy. You may be able to establish a reputation by building an online social network. You may inspire readers to recommend your work. Regardless of the expression, the underlying pattern remains the same: to be credible you need independent third parties willing to expend their own time and resources to vouch for your work. One of the few things you can’t do as an artisan publisher is be your own advocate. Clearly you must put a great deal of time and effort into promoting your work. But no matter how much effort you put into it, marketing can never become advocacy because you’re not an independent party. If your artisan publishing effort expands to include other authors, you can become an advocate for their work to a small degree. But compared to the major publishing houses that have the financial wherewithal to lavish seven-figure advances on celebrities your own investment will hardly stand out. The practical upshot is that in order to succeed as an artisan publisher you must nurture a network of independent advocates without any of the structural advantages enjoyed by large publishing companies. Moreover, you will have to compete with those companies for readers’ attention every step of the way. The only way to build credibility and to attract advocates is to keep showing up: to consistently deliver high quality content. You need to be prepared for a slow, patient game. The food industry in the United States is a curious one. Some words that appear on labels, like, “organic,” are carefully regulated and may only be used if the food or the process by which it was produced meets certain requirements. Other words, like, “artisan,” may be used with abandon. The word, “artisan,” long carried the sense of common practitioner, as opposed to the artist who brought genius and inspiration to the work. But as mass production, and increasingly mass customization, has blessed us with a collective and mostly uniform affluence, artisan has come to signify a means of production where low unit cost and economies of scale are not the primary objective. Artisan bread, for example, is made by hand even though there are bread factories that are far more efficient in purely economic terms. Why, if we are rational economic actors, would we ever choose a product that is more expensive and less available than a mass-produced equivalent? People who prefer artisan breads may argue in terms of the varieties or flavors available nowhere else, or the virtue of supporting local production, but for most people it simply tastes better. In response to sandwich chains that have recently began advertising their bread as, “artisan,” people who produce food products that actually deserve the label were asked to define it. Some answered in terms of small production batches and traditional, hand-made methods that invite skilled crafts people, who control the means of production, to take greater care in their work. Others spoke about love, attention to detail, a greater concern with quality than quantity, and integrity. It was in the particular sense of craftsmanship and pride in the work that I realized what I had set out to do in publishing my series of writers’ guides was best characterized as artisan publishing. It certainly wasn’t about the money. While I hope in time to see a reasonable return on the effort I invested in the project, I have no more illusion that my efforts will lead to a publishing empire than an artisan baker believes they will be the next giant food conglomerate. Artisan publishing isn’t simply a variation on the theme of doing it yourself. The large, well-stocked home improvement centers dotting our suburban landscape owe their existence more to naivety, false economy, and hubris than to a genuine and supportable conviction that doing it yourself is the best way to get the job done well, right, and in a timely fashion. The path of an artisan publisher begins with having something worth saying and a thorough effort to determine the best way to publish that material. As with our writing, where no character, scene, or sentence is too precious to come under scrutiny, artisan publishing has nothing to do with shortcuts or showing the gatekeepers how wrong they were about your manuscript and everything to do with what is best and right for the project. Just as many of us suffer from innumeracy—the inability to think rationally about large numbers—many of us also tend to assume that if something has been a certain way for a long time that is how the thing is supposed to be. This is very much the case right now in the world of publishing. For a substantial portion of the last century and most of the first decade of this, the publishing industry has been defined by the logistics of distributing books to bookstores and the companies controlling that channel. There were innovations, like mass-market paperbacks and book stands in supermarkets and big-box retailers, but none of these changed the fundamental distribution pattern. Setting yourself up as a publisher required a second-mortgage-level investment to print books and a tremendous amount of legwork to arrange for distribution. Everything changed with the advent of electronic publication. The barrier to entry was reduced to little more than the time and effort required to write the book and some initial, minimal expenses like purchasing ISBN numbers. While electronic publishing doesn’t provide an easy avenue into bookstores, for a variety of reasons their importance has waned in the last few years. The number of new, e-book-only small presses attests to the viability of the new model. Change is difficult for many reasons. One of the subtle but most vexing ones is that our ability to describe and define the change always lags the change itself. What we used to call simply publishing (or commercial publishing if we needed to distinguish between the standard pattern, where authors were paid by publishers, from vanity publishing, where authors paid publishers) now gets qualified with words like, “traditional,” “legacy,” or even, “dinosaur.” The swelling ranks of individuals taking advantage of the opportunities offered by electronic publishing use these terms to help define what they are doing differently. And now we're awash in terms like, “self-publishing,” “independent” or “indie publishing” (an attempt to align with the success and credibility of independently produced, or indie, films), and even arguments that trading a 70% royalty for a 15% royalty and recognition by a publisher is a new kind of vanity publishing. The problem with all those labels is that they speak primarily in terms of how you are not publishing. “Traditional,” implies you’re not publishing through the new electronic media, or that you’re not using those channels well. “Self,” and, “Independent,” imply that you’re not publishing with partners. So how are you publishing if you choose to do it yourself? In its current usage, “artisan,” suggests craftsmanship and pride in one’s work, which of all the reasons bandied about for undertaking to publish your own work is the only one—as we shall see in the coming weeks—that stands up to scrutiny. I must confess, though I’ve tried many times, that I like fantastic stories better than contemporary ones. Given that stories of the fantastic are usually not at the top of the list for careful character studies, it is, perhaps, not the most auspicious way to start a guide to character and archetypes. But trying to figure out why I prefer fantasy is what led to the study you now hold. At first I feared I was simply too judgmental of characters in familiar situations. In a contemporary story it’s easy to question the choices characters make when you can think of alternate courses of action. In a fantasy, where the rules are different, it’s harder to second guess the characters. The issue, however, is deeper than characters doing things with which you don’t agree: the story falls apart if a reader can think of other, simpler ways to solve the story problem. For example, there are a great many romances in which the couple is kept apart at some point by a misunderstanding that could be resolved with a five-minute conversation. Regardless of the setting, whether fantastic or realistic, in order for your characters to ring true, readers must believe their actions are natural and inevitable. Readers fold every bit of character information you give them into a mental model. Behavior which reinforces the model feels natural. Behavior which extends the model feels inevitable. In a context with which readers are familiar enough to imagine alternatives, you’ve got to take greater care to establish why your characters wouldn’t or couldn’t behave differently. Another difference I noted between fantastic and realistic stories is the relative degree of activity and passivity. In one well-reviewed and highly recommended contemporary novel, much of the interaction takes place while the characters are hanging out. Fantastic stories tend to have a lot less hanging out because the characters are trying to do something—to get someplace, find something, or unravel a mystery. Contemporary stories are often about making one’s way in society by finding friends and fitting in. Fantasy is almost never about fitting in, it’s about being extraordinary. You might rightly point out that my view of narrative activity and passivity is subjective and argue that characters trying to understand themselves and their place in a complex world are every bit as active as heroes battling villains. I am guilty as charged: I prefer stories which entertain the possibility that we might be wonderful over those whose fundamental world view is that life is something to be endured and which, at best, offer the hope that we might cope. But again, there’s something important here that goes beyond my entertainment preferences. Story is about change over time. In character terms that means story is about people who do interesting things—who engage life and the world around them—and who reveal their character through their actions. If we’re supposed to cheer for the hero and hiss at the villain, why is the bad-guy often the strongest character in the story? Good antagonists, of course, believe they are the hero of their own story. On the strength of that conviction, they act. Their actions harm or threaten the hero, which sets the story in motion. The protagonist usually spends the first half of the story reacting because the antagonist has the initiative. We learn about each character through the things they do, but we learn more from actions than reactions—which is important insofar as the antagonist is concerned because we need to understand his or her character well enough to side with the protagonist. So what makes a strong character? First, character is what makes a person interesting. Someone who has no opinions, interests, or aspirations—who exists in perfect compliance—isn’t interesting. An interesting character has their own view and agenda, and they make their own decisions. Second, character is the sum of a person’s actions over time. We often fall into the error of reducing character to the initial description and first impressions. While a person’s appearance may provide some evidence of their character, we come away from a single meeting with nothing more than a caricature of them. It’s only after we’ve observed their behavior in different times and places that we understand them well enough to predict how they’ll react in a new situation. It’s easy to get confused when we talk about strong characters because when we describe someone in real life as a, “strong character,” we often mean that they’re overbearing or obnoxious. Strong characters in narrative are simply interesting people whose actions give us insight into who they are. Strength, particularly physical strength, is generally a male attribute. What do we mean by, “strong,” when we’re talking about female characters? For reasons ranging from biology to culture, the ways in which men and women can or are expected to show strength differ. That said, the things that make a strong female character are the same things that make a strong male character: a sense of purpose and the will to act. Viewed in this light, strength of character and femininity are perfectly compatible. Most women may not be able to go toe-to-toe with the men in a barroom brawl, but they often exceed the males in the quiet, daily kind of strength. Similarly, women often show strength by drawing together a society who can collectively solve a problem instead of attacking it head-on. And unlike men who equate vulnerability with weakness, women are often strongest when they acknowledge their vulnerabilities. Persistence in the face of opposition is a common sign of strength of character. A person who states a position and then changes his or her mind when someone counters with a contrary opinion is a weak character. A strong character has courage, in the particular sense that they don’t give up easily—not because they’re pig-headed, but because they know what they believe and why they believe it. Strength of character is never measured on an absolute scale. It’s only meaningful in light of a character’s weaknesses. That a strong, healthy man who is versed in combat steps up to fight reveals less about his character than a physically weaker woman reveals about hers when she does something similar. The best strategy is to approach each character, regardless of gender, as an individual with their own mix of strengths and weaknesses. 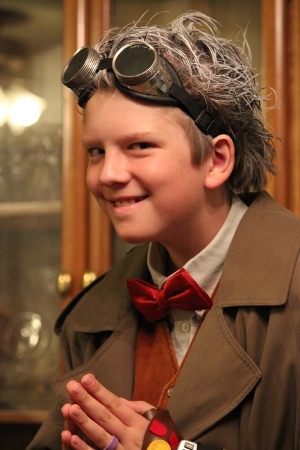 Fiction requires one more thing of strong characters: they must be problem solvers. It may sound like the pinnacle of courage when the black knight stands on the bridge and declares, “None shall pass!” but you don’t have a story if no one wants to pass and he’s simply standing guard. Strong characters try things, fail, learn from their experience, and try again. And in doing so, they show us what they’re made of. The best way to show strength in narrative is to give the character two choices. If a character has consistently chosen safety over conflict during the course of a story, and if at the end they are offered a safe and honorable way out, the fact that they stay and fight says a great deal more than if they are simply cornered and have no choice. There is, of course, much more to creating strong characters. In the next chapter, we look at the techniques of natural characterization. Chapter three focuses on character dynamics: the hierarchy of needs that motivate characters and the universal human pattern of reactions. Beyond simply being active and interesting, the most compelling characters transform themselves over the course of a story. Through their experience we come to a better understanding of our own transformations. The majority of this book is dedicated to a study of the two archetypical patterns of transformation: the hero’s journey in chapter four and the virgin’s promise in chapter five. 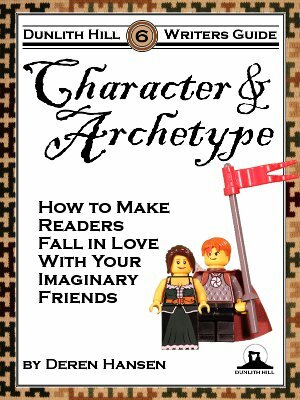 We turn to romance in chapter six, and conclude, in chapter seven, with an approach to unifying character and plot. But if you get nothing more from this book than the understanding that strong characters have a sense of who they are, what they want, and what they’re willing to do—that above all are active—you’ll improve your writing by an order of magnitude. “Truthiness,” coined by Stephen Colbert, was named Word of the Year for 2005 by the American Dialect Society and for 2006 by Merriam-Webster. It’s a particularly funny word given the current cultural and political climate, but there’s a perfectly good, albeit venerable, word whose original sense means the same thing: verisimilitude. Having the appearance, but not the substance, of truth is generally not considered a good thing. Fiction, however, is an exception. When you’re dealing in something that in absolute terms is a lie (because it never happened in the real world), verisimilitude is a virtue. The essence of the art of verisimilitude is to understand and apply real-world patterns and structures in your stories. Even in a fantasy world you can’t ignore basic laws of economics—like how much farm land and how many people it takes in a medieval economy to support a single knight in the battle field—if you don’t want to alienate readers. There is no such thing as, “objective,” history; every attempt to recapture the past is an interpretation in which some things are emphasized more than others. We build models for the same reason: to emphasize some aspects of the thing being modeled while ignoring others. Interpretations and models are a simplification of reality. Fiction is the literary equivalent of model making. Our stories can speak truth more clearly because they omit the confusing and distracting things that are part and parcel of everyday life. One of the basic rules of writing is, “show, don’t tell.” It’s also a fundamental rule for life: people are much more willing to adopt an idea if you show them how to arrive at the notion themselves than if you hand it to them finished, polished, and ready to be placed on their mantle. A story can be spun that shows how concepts affect the lives of your characters much more clearly than trying to find an example in the life of an actual person. Why do we tell stories, particularly ones that aren’t true? Because sometimes the jester is the only one in the court who can speak the truth: sometimes the untrue is truer than the true. The first fantasy book that captured my imagination was the last book in The Chronicles of Narnia. I stumble upon The Last Battle in my elementary school library after exhausting their meager collection of books on World War II. The word, "battle," in the title is probably what caught my eye. I was mesmerized by the apocalyptic themes—it was easy to entertain apocalyptic notions during a time when everyone assumed nuclear war was inevitable—and enthralled by the conceptual scope of the fantasy. I found the theme of ever expanding vistas of worlds wider and richer than the one we know to be particularly compelling. The transcendental surrealism (not a term I had in my grade-school lexicon) of the story was far more effective than a mind-expanding drug. I got my first taste of the way in which one could understand something more deeply and vibrantly if they were unencumbered by the constraints of ordinary experience. And that was it: one (metaphorical) puff of fantastic fiction and I was hooked. Fantasy is far more than the relatively recently defined genre of medievaloid settings with magical elements. In the most general sense, a fantasy is any story with contra-factual elements. Some people prefer speculative fiction as the umbrella term for everything from classical swords and sorcery, through paranormal romance and alternate history, to science fiction. Contrary to the common sense notion that the farther a story strays from the real world the less relevant it is, fantasy enables us to abstract away ambiguity and tell a clearer and more compelling story about underlying truths. An interspecies war between orcs and elves is much easier to understand than a conflict between competing human ideologies and economic interests in the real world. To be clear, I'm not arguing that fantastic stories are better than more realistic ones: any kind of story can convey truth. Because stories, like the best lies, are founded on truth. With all this talk of truth, you may feel overwhelmed, particularly your aim is to entertain, not discourse on universal truth. The true core of the story is much closer to internal consistency than moral certitude. I had a peculiar experience reading a trendy dystopian young adult novel: I didn't like the beginning, I liked the middle, and I didn't like the end. The first act seemed like a parade of contrivances to withhold information from both the protagonist and the reader. In the second act, the protagonist finally gets some information and acts on it. I became engaged because I wanted to see how the experiment played out and what information that gave us for subsequent efforts to solve the problem. Then in the third act, through a series of startling reveals, I was effectively told everything I thought I knew about the story was wrong, there was no way I could figure out what was really going on, and so the only thing I could do was hang on for the wild ride to the end. The novel had no true foundation. Except for the middle, the author didn't show me how to enjoy his story, he told me how to appreciate his cleverness as the designer and operator of that particular roller coaster. 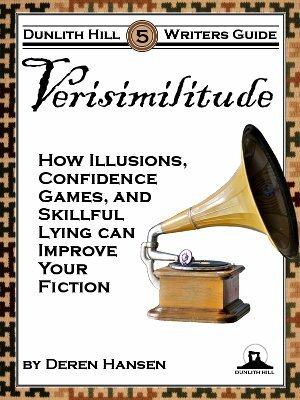 The first key to verisimilitude is that reading is interactive; your readers want to participate in the story. The best way to alienate them is to say, in effect, “Shut up, sit still, and let me take you for a ride.” Engaged readers are ones who think about the book both while they read and after they stop. The best way to engage them is to establish the consistent foundation—the core truth—upon which the story plays out and because of which, when the tale ends, the reader will agree, even if it was a surprise, that the conclusion was inevitable. A satisfied reader is the first, and most important, hallmark of verisimilitude in fiction. This volume is designed to help you better satisfy your readers. Chapter 2 begins with a readers’ Bill of Rights, courtesy of Mark Twain and Kurt Vonnegut, because the overall way in which you go about spinning your story determines whether your book rings true with readers. Chapter 3 explores the verisimilitude that arises naturally when thinking readers engage your story. Verisimilitude is the illusion of truth. We consider techniques that conjure or dispel those illusions in chapter 4. In chapter 5 we look at competent wordsmithing, specifically those verbal non-sequiturs, awkward expressions, and linguistic gaffes that jar readers out of the story and break the illusion. Conflict that rings true is the dynamic key to verisimilitude. Chapter 6 attempts to wrestle the subject to the ground. In chapter 7 we look at the ways in which flubbing the details scuttles the verisimilitude of your story. Chapter 8 continues the theme of enhancing verisimilitude by showing how to get major elements like action, societies, economies, magic, and science right. Writing intentionally, whether you prefer to outline or discover the story as you go, is the capstone of verisimilitude. Chapter 9 looks at the preparation and research necessary to give your readers the illusion that you know what you're talking about. Finally, the appendix describes some story development tools that may prove helpful as you work to improve the verisimilitude of your book. Watching an ant hill, it’s hard not to marvel at the way in which they work together. The magic, according to entomologists, is a matter of chemistry. Ants exchange signal chemicals when they meet, enabling them to recognize members of their colony and coordinate activities. Like other bar bets, it’s impressive, but not quite what it appears to be. In particular, Hemingway’s, “story,” isn’t a story, it’s a story prompt. In arguing that Hemmingway did indeed have a story, you might point out how each two-word phrase is like one of three acts, taking us in a different and more dramatic direction at each turn. That’s true, but I have yet to meet anyone who isn’t intrigued by those six words: they can’t help speculating and filling in details to create a story in their own mind. And the story is always about what caused the effect of someone possessing unused baby shoes. In the first case, we simply have two events—two royal deaths listed in the chronicles. In the second, the story organizes the two events into a cause/effect relationship. Naturally, there’s a great deal more to a satisfying story—a novel, for example, will describe many causes and effects on different levels and in different dimensions. Must all stories show cause and effect? What about literary fiction? Don’t be misled by the siren song of the literati and their conceit that a nuanced character study is superior to plot-driven commercial offerings. Even a character study is about the causes and effects of the character’s beliefs and behaviors. There is a Native American tale which explains how the mountains surrounding the tribal homeland were created when the trickster trapped giants and turned them to stone as punishment for their wickedness. One of the remarkable things about The Lord of the Rings is the way in which Tolkien produced a fictional landscape full of the significance accumulated over the course of three ages: there were stories, often only hinted at in the text, behind so much of the landscape that it became a character in its own right. In both cases, it is the stories that give the landscape significance. Stories work their magic on people and events as well as physical features. They tell, and more importantly show, why we should care about someone or something. By rehearsing the cause of a particular effect, they teach us why the subject is important and stands out from others like it. Wits have wryly observed that we can’t collectively understand a tragedy until we’ve watched the made-for-television movie about it. If we peel away the cynicism, the remaining kernel of truth is that by defining meaning and attributing significance, stories are how we make sense of the confusing world in which we live. There is an eternal law, inscribed into the very foundation of the universe before even gods appeared, that any home improvement project will require at least three trips to the store. After working on the project for a while, you make another trip to the store to get all the things you didn’t know you needed. Of course, there are many times when you make one trip because you know what you’re doing and what you need. But you don’t tell a story about those episodes because a this-was-the-problem-so-I-got-the-part-I-needed-and-fixed-it story is boring—in fact, it’s not a story, it’s a recipe. For a story to be interesting, it must show how the protagonist triangulated on a solution to a difficult problem. Each try is a possible solution and each fail shows why the solution falls short, as well as ratcheting up the scope of the problem. In the realm of DIY, for example, you may fail to reattach the loose tile in the bathroom because the wallboard behind has water damage, but you can’t just replace the wallboard because the pipe inside is leaking. Act 3 is the attempt to solve the story problem that finally succeeds. If you scrape away all the formal baggage around, “The Three Act Structure,” it really is that simple. We often hear agents and editors want stories that are, “edgy,” “push the envelope,” and talk about how things, “really,” are. The edge in question is usually the edge of social acceptability, where the scent of the forbidden entices our voyeuristic impulses. From a business perspective (and without trying to sound too cynical), it’s also much easier to sell something offering readers a chance to step vicariously outside common social constraints. It’s unfortunate that there’s a fair amount of ammunition for readers who associate, “edgy,” with, “gimmicky,” because there’s an important place in the grand conversation for stories about the edges—not of acceptability but of society. Stories from the social periphery give voice to people and experiences that are minimized or ignored. Going to the edge is certainly important for social justice, but it’s even more important as a source of variability and vitality. Chaos theory, for example, shows that the dynamic equilibrium between order and chaos is the region where the most interesting and complex things happen. Another way to think of it is that the tendency of society to move toward monoculture is offset by the variations and novelties that arise on its periphery. But there’s an even deeper point: at a structural level, the best stories are always edgy in the particular sense that they take the protagonist out to the edge of their known world and then beyond. Whether the journey is actual or emotional, it’s only in the unmediated wild, beyond the edge of the safe and comfortable, where character is revealed and proven. This book focuses on the structural underpinnings of a sustained narrative. In an effort to express ideas clearly and succinctly, some of what follows may seem a bit academic. Don’t be put off by the tone. We begin, in chapter 2, with a look at the way in which stories are models—like maps, they emphasize some details and suppress others. Many of the, “rules,” about which writers agonize are heuristics for creating satisfying narrative models. But models are patterns, not recipes—something we make clear in chapter 3. Chapter 4 explores the recurring pattern of threes in many kinds of cultural expressions, including storytelling, and argues three acts, parts, or beats in a story correspond to the minimum container of significance. How do you go from the simplicity of a beginning, middle, and end to the narrative complexity of a satisfying novel? Chapter 5 provides the fractal answer in three easy steps. In chapter 6, we turn from structure to dynamics with a look at story drivers. The discussion continues in chapter 7, where we focus on the kind of conflict that advances a story. Drawing upon all we’ve covered, in chapter 8 we explore the art of the long form: what, beyond the principles of good storytelling we’ve covered in the earlier part of the book, do you need to keep readers engaged for hundreds of pages. 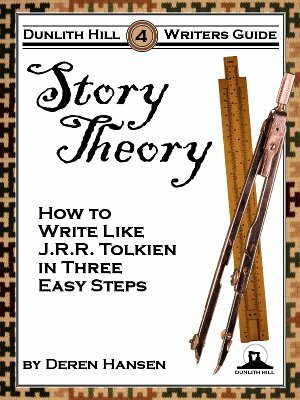 Finally, in chapter 9, we close with a look at the practical skills of editing and revising that you’ll need to transform your application of story theory into something someone else will actually want to read. 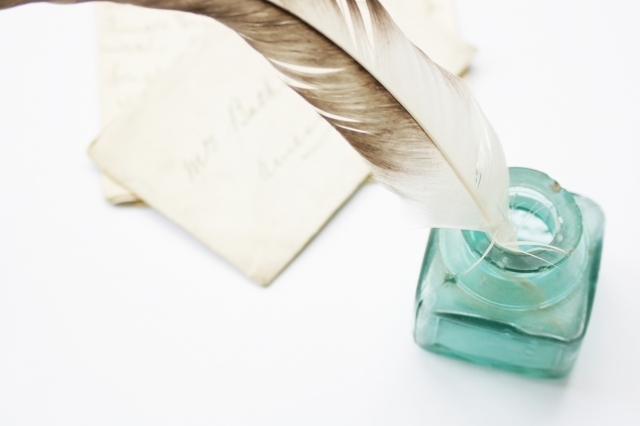 Many people who say they want to write really mean they want to have written. That is, many people aspire to be writers because they would like to be in the position of receiving the attention paid to someone who has published a book. You’ve probably heard you should write because you have to: don’t do it for a living if you can do anything else. That sentiment is best understood as shorthand for the fact that writing is hard work—the kind of hard work only a few people find satisfying. If you find writing to be a joyless chore, it’s a good sign you should do something else. “… if you decide you really want to go for it, then you’ll be ready to accept and deal with the truth: Writing a novel is hard work. You’ll be able to commit to the work, hoping eventually there’ll be a payoff meaning that you’ll enjoy the results of your labor. That doesn’t necessarily mean being published, but simply enjoying your story on the page, and enjoying the feeling of accomplishment. In that way, it can still be a labor of love even if it’s hard work. Art requires real and sustained dedication—much more than we assume if we only see the end product. The hallmark of mastery is that you make it look easy—as if the work simply flows from your fingertips. You’ve probably heard about people who say the writing just flowed. It’s hard to hear that without taking it to be something mystical or judging yourself to be a lesser writer if you can’t make a similar claim. There’s nothing mystical about flow. Indeed, it is effectively the opposite of mysticism because when you’re in a state of psychological flow you’re neither awed nor terrified. When you’re fully immersed in the process, you find, to the extent that you’re even aware of your internal state, that you feel a profound calm. Flow means you’re neither too hot with great ideas, nor too cold bogged down in the details, but just right with ideas and the words to express them coming together at the same time. Some people argue writing is a purely creative, right-brain activity. There’s truth in that claim, particularly for those who see the action and the setting, and hear the voices of their characters. But encoding those ideas in well-chosen words and ordering those words in compelling, grammatically correct sentences is a left-brain activity. The hardest thing about writing is being sure your reader will get something from the marks on the page similar to what you had in mind when you made them. Unlike speaking with someone, where their expression helps you gauge how well they understand what you’re saying, a writer must encode ideas and mental images as words on a page in a medium that can be consumed at another time and place. Much of the substance of art comes down to mastering the techniques and conventions that usually manage to convey your ideas to your audience. Put more simply, figuring out what you want to say is often easier than figuring out how to say it so that your readers come away thinking about roughly the same thing you had in mind. People who focus on one side of the brain or the other short-change themselves. In my experience, flow is most likely to occur when I’ve mastered the left-brain mechanics (e.g., proficiency at typing, a command of grammar rules, and a rich vocabulary) and energized the right-brain to focus on the story (and not entertain every distraction that comes along). You can think of flow in writing as balancing right and left brains as you produce and encode ideas. Unfortunately, your inner critic also lives in your left-brain and can stifle the wondrous flights of fancy soaring through your right brain. The people who tell you creativity can only flourish if you stay away from the left side of your brain live in fear of their inner critic. Part of the reason art is so often associated with, “recreational chemistry,” is because intoxicants are a time-honored way of overcoming your inhibitions. The first step toward embracing your inner critic is to enlist it as your editor—the artistic equivalent of a conscience. Just as real editors help us refine and perfect our work, our internal editor can compliment the work by managing all the details that will make it shine. There is, of course, a time and a place for everything. You don’t, for example, need your internal editor while you’re working on your first draft: everything is still fluid and the things that worry your inner editor may get changed before the story finally settles. So, how do you work with your internal editor? Make a map of where the story takes place. Create calendars and time-lines of events critical to the story. Keep notes about character decisions. Study similar books to see what works and what doesn’t. Don’t be a binge writer: try to write every day. Take advantage of forward momentum. Just keep going forward even if you realize something needs a major change. Don’t worry about getting the writing perfect. Worry about getting your story on paper. There will be plenty of time with subsequent drafts to polish the text. First drafts should be written chronologically. And when you finish, let your first draft season for a month or so. Read it straight through to the end to get a gut feeling for the pacing. After that first read-through, you can unleash your internal editor, who will get busy and cut out everything that doesn’t belong in the story. If you take a step back, what you’re really doing is setting up a cycle of creation and refinement that you’ll repeat until the work is finished. You have a responsibility as a writer to produce purposeful prose: narratives crafted with intent that give the reader a well-prepared experience. There’s no place in writing for pool-hall bravado (i.e., claiming you intended the balls to go where ever they went). Flow is the state where you’re so fully immersed in the process that you stop worrying and simply do. It’s a frictionless balance between right-brain vision and left-brain detail. The synthesis of flow and purpose is mindful writing. Like the Zen practice of mindfulness, which is to, “pay attention in a particular way: on purpose, in the present moment, and non-judgmentally,” when you’re mindful of your writing, you’re both aware and not aware of what you’re doing. You see the story and hear the voices of the characters. At the same time you’re capturing what you see in specific and intentionally chosen words. While a perfect, Zen-like union of apparent opposites—in this case the two sides of our brains—in a creative synthesis may seem unobtainable, as you practice mindful writing you’ll find the amplitude of the create/refine cycle decreasing as the frequency increases. In other words, you’ll become consistently creative and produce higher quality work. 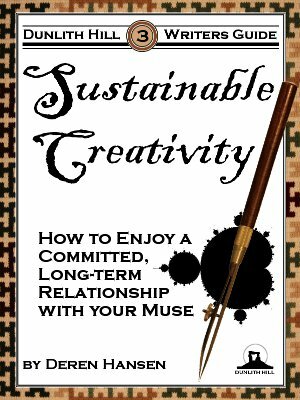 In this book we’ll explore creativity and the creative life, using writing to illustrate the broader principles. We begin, in chapter 2, by clarifying the distinction between an idea and the expression of that idea, and show that creativity is primarily about the latter. In chapter 3, we expand on the notion that creativity is only meaningful in context. Ideas provide creative fuel. Chapter 4 explores ways to generate and collect ideas. Chapter 5 looks as how the raw material of a collection of ideas can be organized into a whole greater than the sum of its parts. We turn to a series of observations, inspired by Austin Kleon, on the creative life in chapter 6. Sustainable creativity requires discipline. Chapter 7 describes simple and creative ways to improve your discipline. In chapter 8 we face the uncomfortable truth that creativity is hard work, and look at how you can step up to the challenge. Chapter 9 suggests a number of techniques for organizing your affairs in order to clear time and space in which to exercise your creativity. Finally, chapter 10 looks at the subtle problem of staying creative over the long term.